Wolverton Swimming & Fitness Centre has all the latest equipment to help reach your personal fitness goals, with our team of qualified instructors on hand to help and advise. Our fitness suite is fully equipped with Technogym cardio machines including Treadmills, Vario and Synchro Cross Train Machines, a Skillmill, Skillrun and Skillrow plus a range of Bikes (Technogym, Matrix IC7 and Keiser M3). With web enabled consoles and fully integrated tracking systems you’ll be able to set your preferred applications, monitor, log and track your progress and communicate with our experienced fitness team. The gym also has single station strength machines covering all areas of the body including a cable crossover machine. 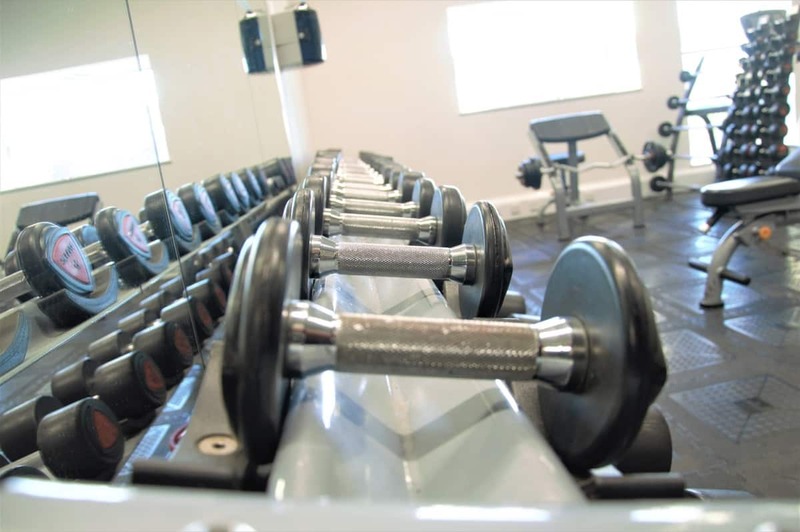 Our Free Weights area has dumbbells up to 40kg, Power Racks, a Smith Machine, and a Plate Loaded Leg Press. Our Matrix Fitness Double MEGA Rack with ladder configuration enables members to perform various training exercises within a centralized space. Consisting of a built in landmine station, 2 power racks, monkey bars, dip station, shoulder/chest press, which are plate loaded, it will fit nicely in to your workout plans. Travel around the world without leaving the gym. Try our virtual Myride Interactive cycles. Whatever your fancy you will find a workout to motivate and challenge. Speak to the Fitness Team about our Pathway to Fitness Programme where you can book three training sessions for no extra cost. Looking for some extra support to achieve a specific goal? Our qualified team of Fitness Instructors offer dedicated personal training sessions for our members. Email the team on: gym@wolvertonpool.com to get started. January 2019: brand new immersive cycle studio, members lounge, treatment room, extended parking, additional studio classes, virtual SUF Cycle classes and new Stages bikes.